This is aloe enemy number one, so quick and decisive action is required whenever they are noticed. 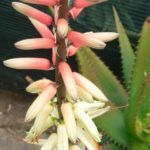 The beetle itself is about 1,2 cm long (varies) and invariably aims at the centre of the aloe plant where it can wedge itself between the leaves to insert its proboscis. This is done to drink the leaf sap (like with a straw) and leaves a telltale dark spot that dries into a pea-sized dry spot with a puncture mark in the middle (see picture). 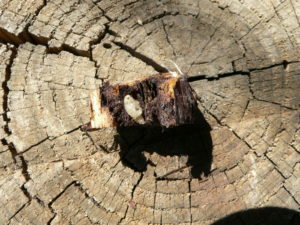 The tiny cut in the centre of the hole distinguishes it from fungal and other benign spotting. 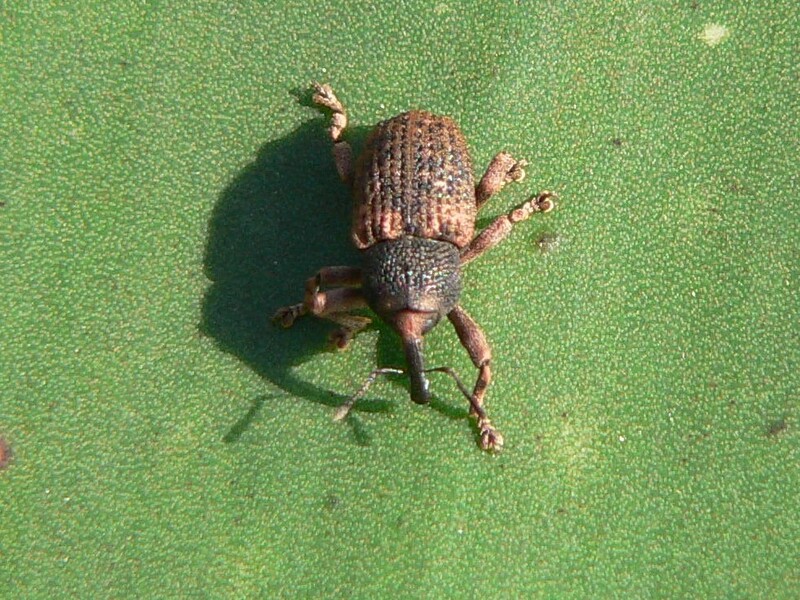 Once the beetles have mated, the eggs are deposited at the base of the leaf from where the newly hatched larvae bore straight into the stem where they spend the remainder of their life cycle. 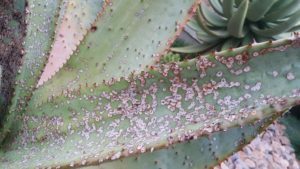 The rot and destruction caused by the larvae is what eventually kills the aloe. Physically removing and killing the beetles, or a sprinkle of insecticidal powder should take care of the mature beetles, provided they have not been there too long. The number of perforations and their distance from the centre of the plant will tell, at a glance, for how long the beetles have been active. 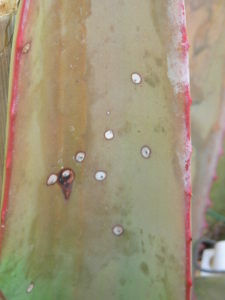 Many perforations away from the centre of the plant almost certainly means that there are beetle larvae destroying the plant from inside. The bottom picture shows a plant that is probably beyond saving – those beetles have been there for many generations. 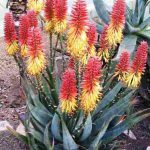 To save the plant it may be necessary to cut through the stem just below the leaves (about 20cm) and remove all traces of black tunneling and grubs. Keep on cutting off 1cm sections of stem until there is no more tunneling. Provided the meristem of the plant has not been destroyed, the leafy crown can be dried out for a few weeks and rerooted. The bottom part of the stem is useless unless there are healthy stem shoots. Regular inspection of your plants is necessary where snout beetles occur.If the rot is not too far advanced it may be possible to stop the infestation with a long-lasting, systemic insecticide like Bandit (Kohinoor). 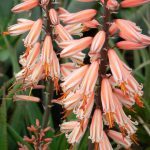 It can be sprayed (remove dried leaves and pay special attention to the area under the leaves and the top of the stem). Where conditions allow it should also be applied as a soil drench. This should ideally be done just after the flower season to prevent nectar-loving birds and insects from being affected.